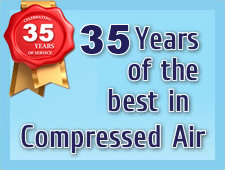 With a full and comprehensive range of air compressor systems and air treatment products, combined with a professional, experienced and highly knowledgeable team, we can assist you with all aspects of product selection and specification. As well as providing the most cost effective solutions possible, we offer a service package which assists and supports you all the way from design, selection and capital purchase through to successful installation of your new equipment. 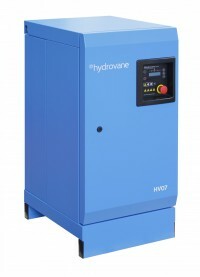 The Hydrovane series rotary sliding vane air compressors are reliable, versatile, powerful, and cost effective. They can be found throughout all sectors of industry, including automotive, food and beverage, energy and manufacturing (engineering, woodworking and processing industries) to name but a few, with specialist solutions within transit, gas and snow. In fact they are the perfect business solution to meet your requirements for reliable, efficient high quality compressed air. CompAir designs compressed air systems using many differing technologies, including reciprocating, rotary screw, centrifugal, rotary vane and portable compressed air systems. 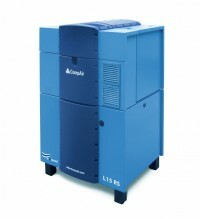 They also have a range of oil-less machines developed for industries requiring 100% oil-free air.